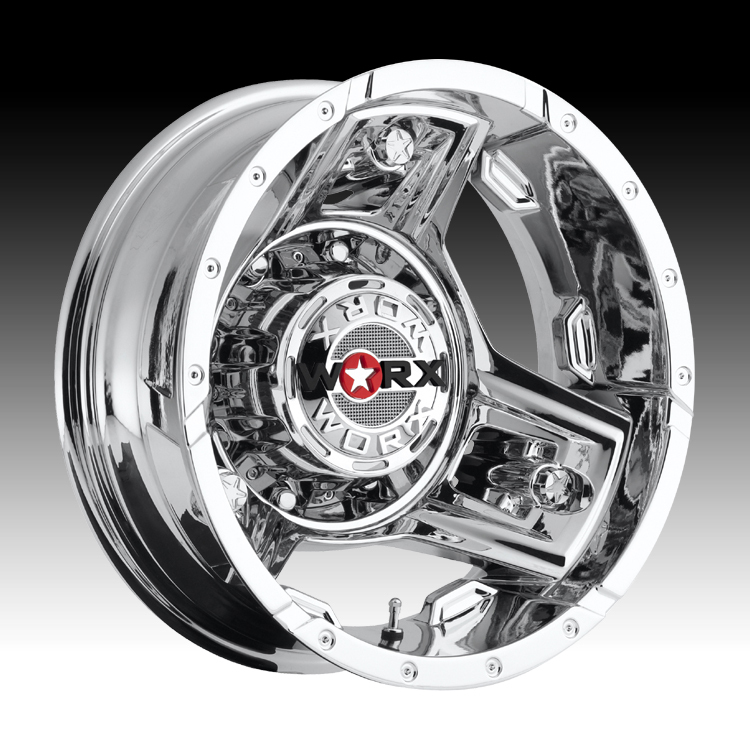 The Worx Alloy 801 Triad Dually Chrome PVD wheel is available in 16 and 17 inch sizes. The Worx Alloy Triad Dually wheel is available for most dually trucks. Free shipping on all Worx Alloy wheels. Free lugs and locks with the purchase of a set of 4 Worx Alloy 801 Triad Dually wheels. For more information, please visit Worx Alloy's webpage.